Make a bold statement with the bright and retro-inspired colors of the Trip Case! Lightweight and compact, this case is designed with both style and practicality in mind. one product that I have bought on line that completely lives up to expectation. I am very particular about colour and style and so am often disappointed with the way things are not as advertised; this is the opposite and I can absolutely recommend it! I have now bought two! Cute case. Fits my Kindle keyboard perfectly. Great product, great quality, great price! Ordered the pink with orange strap and the colors are just are brighter and prettier than the picture. Very happy with my order... will do business with M-Edge again! 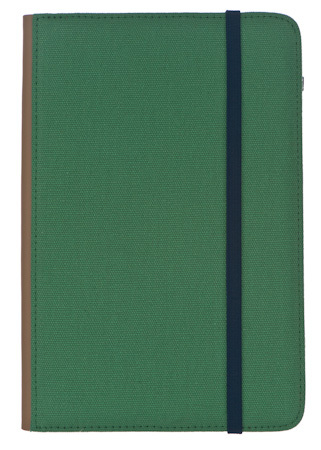 This is an excellent kindle cover. I actually ordered the wrong size, but I have had this product before and it wears well and looks good for years. The cover was perfect in fit and quality. 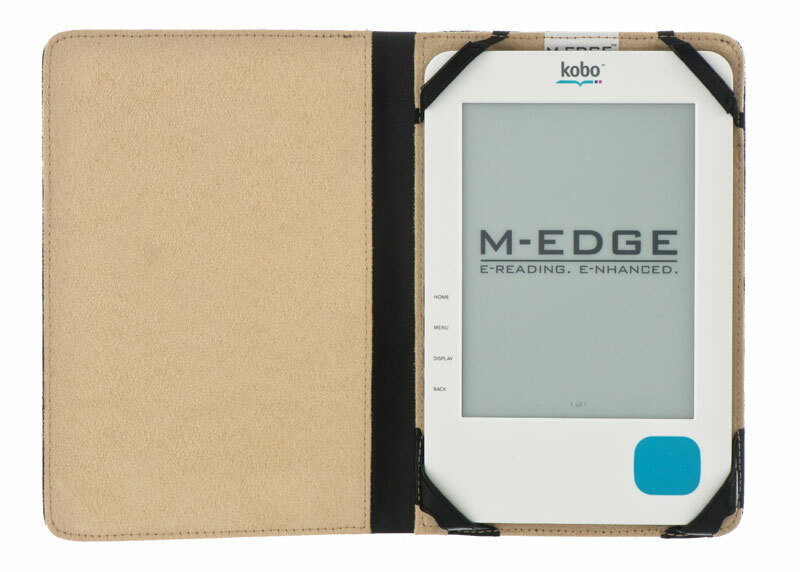 It adds no bulk to the Kindle and protects it very well. Love the product. It's the perfect fit for my kindle keyboard ! I wish I'd gotten it long ago. Nice color. Good protection. Need to use caution when the light is folded down as it is along the outside and if you bump it the wrong way you wind up turning the light on inadvertently. Otherwise a good design. 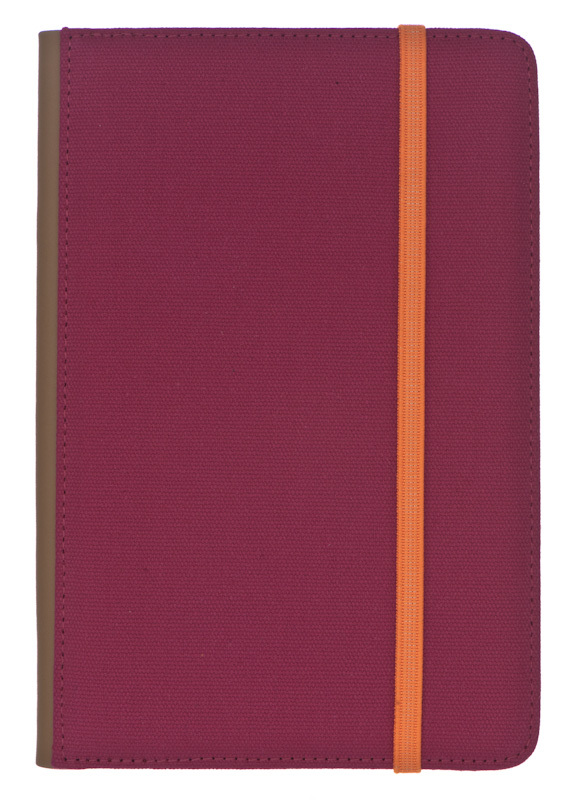 Love the raspberry color and super padding with suede like material on the inside to protect your reader. This is my second trip jacket and after two years of constant use the old one is still fine. I replaced it only because I fancied a colour change. I love this cover and having travelled with it a lot find it is particularly secure when thrown into a bag as the elastic keeps the cover securely fastened preventing keys etc from scratching the screen. It is light and feels soft and comfortable in the hand. My only criticism is the price. 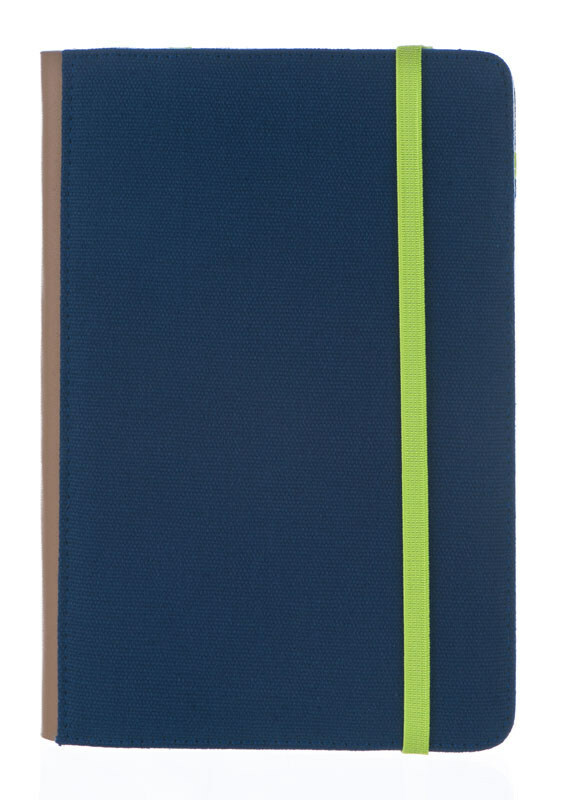 I use my case on the book as I read as its easier to hold.I would like for the cover to all be navy blue so it wont show dirt from handling. Exactly as described. Looks funky & fits my Iriver perfectly. Love the colours & is soft inside to protect the screen. My only disappointment was the case I originally wanted in leather is now unavailable & I wonder how long it will take the canvas case to get dirty in my handbag. Good looking, well made, and fits perfectly. Excellent cover. Much better than my first, which has a magnet closure but the magnet broke loose and floated away. 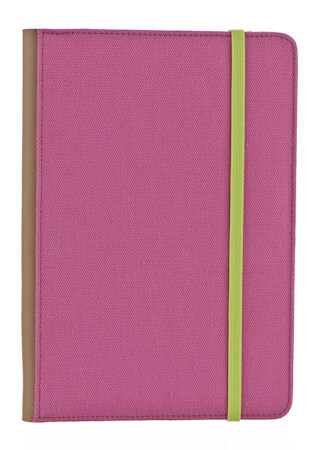 I love how bright and cheery my new Kindle cover is...just right for summer use! Bright color is nice, canvas material seems sturdy, though it may not be as dirt-resistant as the leather variety kindle covers. Really great look, so far great durability. Also, the service here is awesome! I was really pleased with the speed of delivery. The package was delivered on time and in an excellent condition. The blue jacket was lovely with the lime green strap. 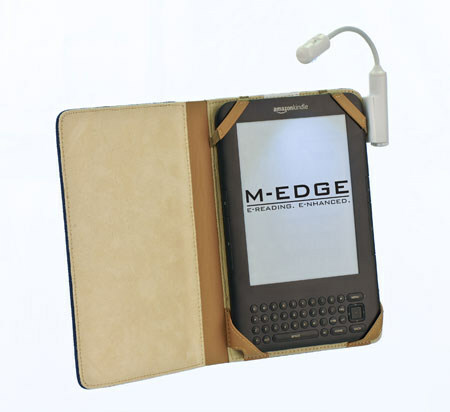 Unfortunately, it was impossible to secure the e-book reader entirely into the jacket because the e-book reader's power button is located at the back. Otherwise, an excellent product! I purchased this product of a different color for myself in a retail store. 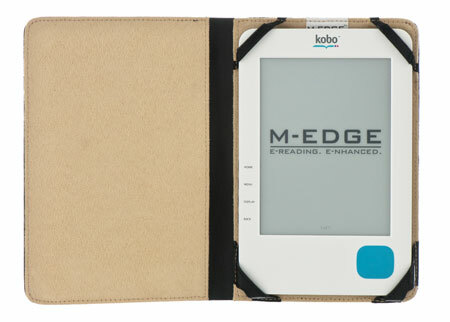 My daughter wanted one for her kindle and we found medge store to have the best selection. She loves it and the color is very vibrant with excellent lime green accent! 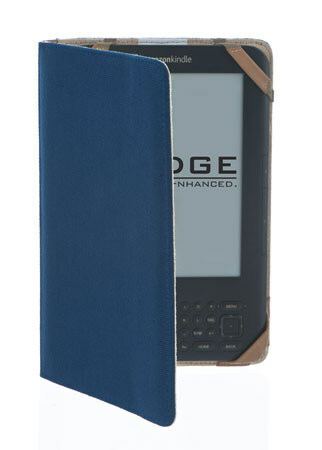 I order this and another Kindle cover from M-Edge. As I am in the UK I was expecting quite a wait before they arrived. I was amazed to get them both within a few days of ordering. Excellent service and top-quality products. Thank you, I will order again! I ended up getting the navy with green highlights and it looks a treat. The cover is solid and comfortable to hold while reading. 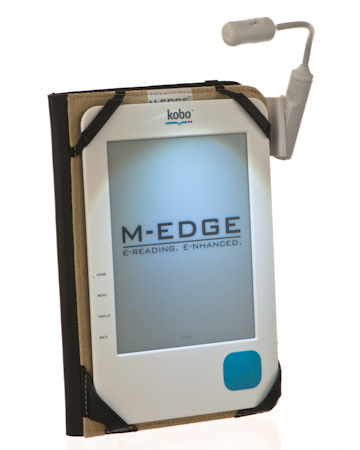 Would happily buy more products from MEdge. This cover is beautiful and durable. I really appreciate the fact that the cover can be folded back while reading. The jacket has a beautiful looks (mine is the navy blue one with green strap) and is also very functional: it looks like you are carrying a nice little diary with you all the time, and you carry it a lot more often, since your Kindle is well protected... As a side note, thumbs up for the delivery, too: the Trip Jacket managed to cross the Atlantic and reach the heart of the Prussian Empire in 4 days. I wanted a kindle cover with a little personality and this fits the bill. I got the green / navy combination and I love it. The cover is sturdy and secure and comfortable to hold. Well done. Ive had this case over a year and it still looks brand new. I love how wells its held up. My first Trip jacket was bought a year ago and I found it to be light, functional and attractive. I have since purchase a number of them for family members. When it is time for a new jacket I will buy the Trip jacket again. The tan lining is showing discoloration and a new one will be in the near future. I've had my trip jacket (in green) for about 10 months now and I still love it! 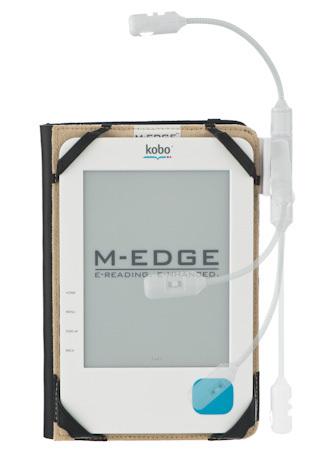 My Kindle is very secure in it. 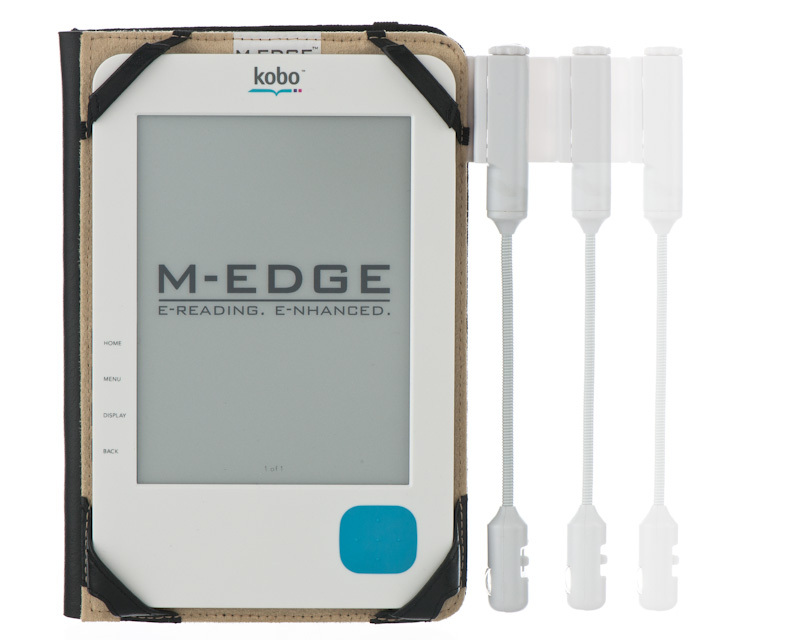 I love that I can use the elastic strap to hold the cover open. And the slot to slide the book light into is fantastic. I have a Sony reader PRS-950 - unbelievable but Sony doesn't make a cover for it anymore, although the reader came out in Nov 2010. I found the Trip at Best Buy, took my reader with me to see if it fit and voila it did and I am thrilled. don't have to worry about my reader slipping out of my hands anymore. it's a good size, not bulky, has the strap to close it shut. I've had this for about a month and am thrilled with how thin it is! 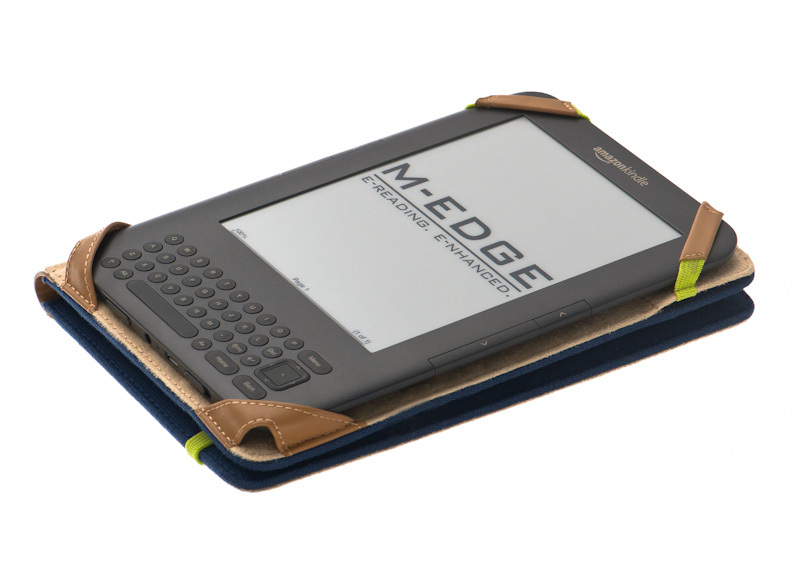 Most of the cases I found were really bulky which kind of defeated the point of getting a Kindle! I do agree that the tan lining is too light and will probably get grimy, though mine hasn't started to yet. I'm not thrilled with the color options either, so I'm hoping the customizable cases will include this form factor! But despite the color choices, I love the case and have recommended it to all my friends that got Kindles for Christmas! I recently purchased the Trip Jacket for a Kindle that I got for my wife. She is extremely happy with the product. The four point mounting system keeps the Kindle securely in place. Still looks brand new even after business trips. Well made and designed. This jacket is very light and looks lovely. It feels nice and supple in the hands without the bulk and serves the purpose welI. I just wish I had chosen a darker colour (mine is Fuschia) because it becomes dirty along the edge where the hand holds after a while. The same goes for the tan-coloured lining. I would recommend M-Edge change this to grey or something darker. Maybe I should try cleaning it with a damp sponge. Apart from this, it is a great product. M-Edge could do well to give us some tips how to clean all products on their description pages. Please consider. Excellent quality but bad shipping. This case is exactly what the title says. The trip jacket is perfect; it securely holds my kindle with out those harmful metal hooks. The color is great, mine is the navy blue one. The interior is soft and has a nice cream color to it. The only problem I had was, well, the shipping. It was supposed to arrive 1-3 days but I got it 5 days later which disappointed me because I was really looking forward to checking out the jacket in 1-3 days not 5. Overall, I give this jacket a 4. Hi there! I'm sorry for any confusion! Standard FedEx Ground takes around 3-5 business days to deliver, which should be listed on our website at checkout. Thank you for your review! ADDICTED! Can't be without it. Stays in my purse, so easy to carry because of the cover. Reading more than ever because of the convenience. So comfortable to hold in "older" hands too! Took advice from others & bought darker color (blue) hoping to hide dirt & stains better. Would suggest as gift idea to others.